Over the past few weeks we’ve had CRD (Chronic Respiratory Disease) spread through the flock. We lost Priscilla, our Light Sussex. She went in a matter of 12 hours. After this we started giving antibiotic shots to the chickens when they showed severe symptoms (difficulty breathing and rattle in the chest). Several of them also had goopy eyes, sometimes to the point of being glued shut. We tried to let their own antibodies deal with the illness, if possible. Several of them were able to do this, but more than half required shots. 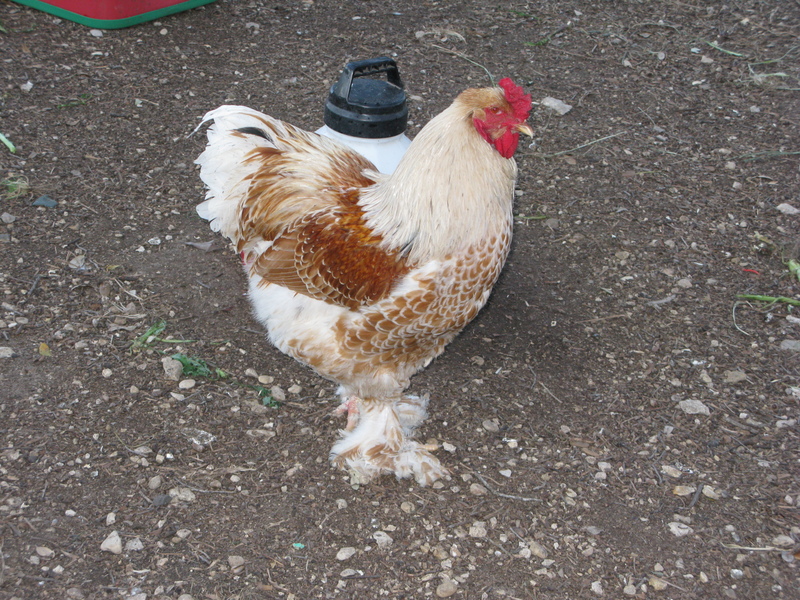 On Tuesday Barry (our Buff Brahma rooster) started wheezing after a few days of minor symptoms. We gave him a shot. That day the weather hit 109 degrees. Between the illness and the heat it was too much. My daughter found him dead at about 3 in the afternoon. In hindsight, we should have brought him inside, but it’s our first time with chickens, and especially with illness. We were very sad to lose our rooster. On March 6th of this year, our first chick hatched. We weren’t ready to deal with a chick so we brought it over to a friend of ours who raises chickens. She was kind enough to raise the little guy. After losing Barry, we decided to finally go pick him up. He’s not crowing quite yet and doesn’t seem to know he’s a Rooster, but he’s fitting in well. It’s nice to have Barry’s son as a replacement. 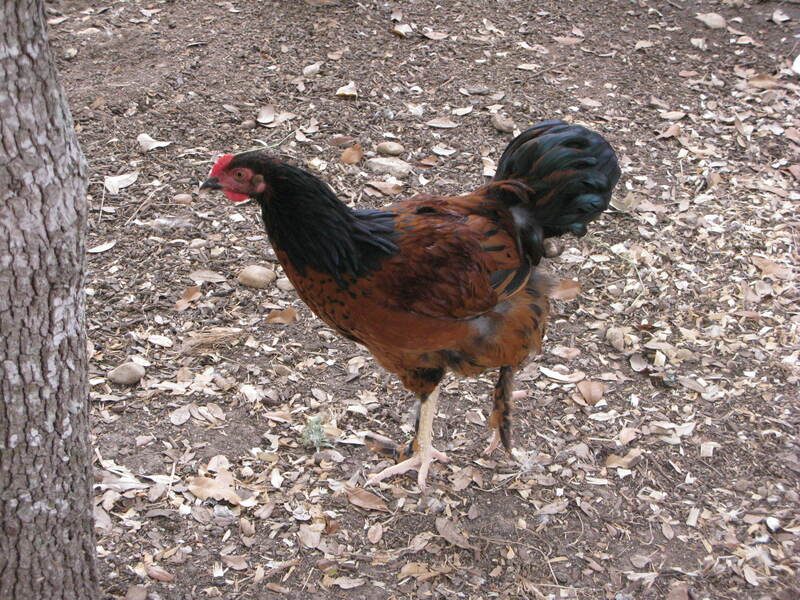 He is half Buff Brahma and half Rhode Island Red. I’m learning to raise chickens by trial and error as well. Sometimes it’s hard to diagnosis the problem never mind figure out what to do about it. We had fowl pox sweep through the coop last fall. Once the pox appeared, the diagnosis was not too difficult, but the symptoms of other diseases aren’t always so obvious. Thanks for sharing your experience and best of luck with your new roo! Yea, the CRD was pretty difficult to diagnose. We’re just glad it responded well to antibiotics, and wasn’t one of the few viruses matching the symptoms, which are untreatable and much worse. 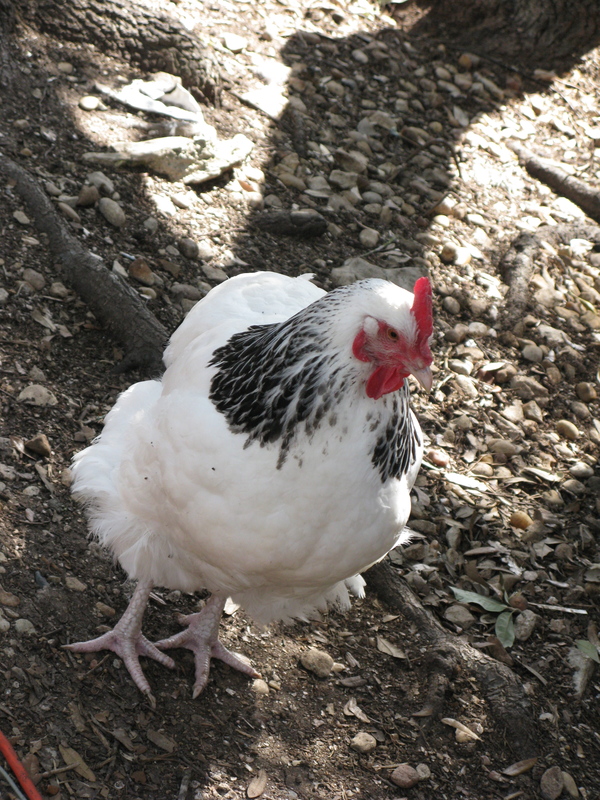 I should have taken pics of the chickens to share the eye symptoms, but we were much too frantic at the time. I hope your chickens made it through the summer with no more problems…it must have been very distressing to lose the ones you did. Thanks! Everyone made it through the rest of the summer. Our temperatures are finally dropping. Just want to talk to you about beans. I’ve always had trouble with them too. Stunted with low production. I even called a gardening talk show once. Every source I have talked to or read says not to add nitrogen. But my gut just says that is wrong. I have raised beds (I’m out in Lago Vista on the side of a limestone hill) and the soil in them came from a pit somewhere in Austin. Anyway, this year I put a ton of cow manure in. I had more snow peas germinate than usual. I’m also trying Thai yardlong beans and pintos which I planted yesterday. There’s a farm out here. Used to be Angel Valley Farm but the owners retired and moved. In their goodbye email they talked about the farm and stated that they never could grow legumes because the soil is too alkaline. After all the reading and asking I’ve done, I was so glad to read that. Finally, a reason. So, if I still have bad luck with the beans I’ll try adding something to make my beds more acidic. I also used inoculant for the first time this year. I’ve enjoyed reading through your blog and hope to hear how your garden does this year. I always have better luck with winter gardens. Thanks for the info. I should probably have my soil tested and check the acidity. I’m doing turkey compost this year, as everything seems to do better with it. Hopefully, that includes beans too. My beans are starting to pop up. I’m hoping these 36 degree temps don’t kill them before they really get going. Keep me posted on how your bean experiment goes.